Splash has a new location on Cliff Street. 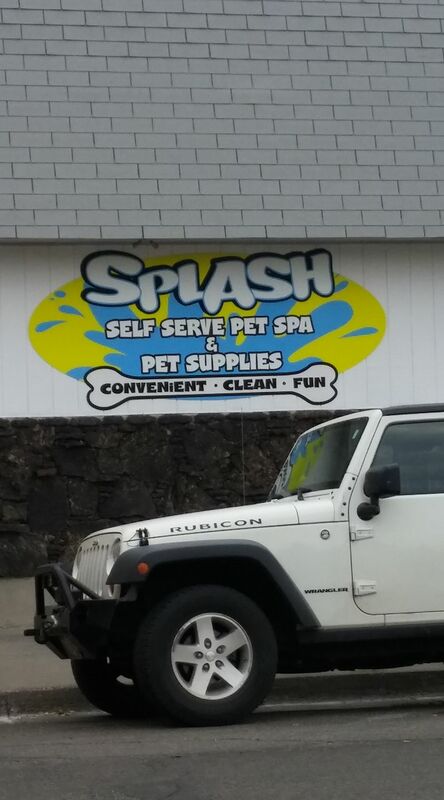 Splash Self-Serve Pet Spa will be having a grand opening Saturday at its new, larger location, at 330 Cliff Street. There will be goodies for goodies for children and adults, an hourly raffle for free washes, discounted pet washes, $10 nail trimmings and pet food sales. The Snake River Animal Shelter will be on hand from 11 a.m. to 2 p.m. with adoptable animals looking for their “fur-ever” homes. Each animal adopted will also receive a free wash.
Bring your pet in costume, and if there are enough participants, there will be a “cutest costume” contest at noon. Splash has been in downtown Idaho Falls since March 2014, when owner Tina Dixon opened next door to Chesbro Music. Dixon had moved from Bakersfield, Calif., and knew it was the small business idea she wanted to pursue. Splash has custom-built tubs that are big enough for large breeds but can be converted to handle little critters, with water temperatures regulated. For $15, you get access, shampoo, towels, ear wipes and a blow dryer. And no more cleaning dog hair out of the bathtub drain. Since opening, Dixon has been expanding the line of toys, food and accessories for sale in the shop. She has been committed to everything in the shop being made in the United States, with special preference given to anything made locally. For more information, call (208) 881-1021.